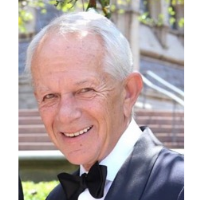 Alan Glen Fejes, 71, Huron, Ohio, left his earthly life surrounded by love on Thursday, January 31st, 2019 at his home and entered into his eternal life with the Lord. He was a beloved Husband, Father, and Grandfather. Alan was born in Wooster, Ohio on March 14, 1947. He was raised in Orrville, Ohio and attended Orrville schools until 1960. He entered Staunton Military Academy and graduated Captain, Second Battalion Commander, and received many academic honors. He then attended BGSU and American University in Washington, D.C. He went on to help run the family business, Crown Steele Products, in 1968 and then, Flo-Tork Inc., where he served in many capacities until he retired in 2001 as Chairman of the Board. He also oversaw the daily activities of the company owned golf course, Juli-Fe View Country Club. Alan was highly regarded in many organizations that he was involved in. As a member of the Ohio Commodores Association, he participated in The Ohio Trade Commission traveling worldwide with many dignitaries, including Governor Rhodes, always promoting commerce from Ohio. He served as Grand Commodore and later received the highest award given, The Captain’s Award. Alan served many years on the Board of Directors for The Village Network in Wooster, Ohio. He received the highest honor and was inducted into The Village Network Hall of Fame in 2014. After moving his family to Huron, OH in 2009, he became very involved with the Huron Yacht Club, serving as commodore in 2016. Alan enjoyed golfing, hunting beach glass, cooking, and traveling with his family. Alan is survived by his soul mate and eternal love Debbie, whom he married in 1984, along with his son; Alan (Sara) Fejes II of Avon, OH; daughter, Xiana “Xixi”; grandson, Alan III; brother, Dean (Linda) Fejes of Naples, FL; sisters, Joyce Jelinek of Sarasota, FL and Annette Fejes of Wooster, OH; mother-in-law, Helen Sparks; brother-in-law, Kevin Sparks; nieces, Kayla, Lisa, Julie, and Sara; nephews, Jeff, Mike and Nick. He was preceded in death by his parents, Julius and Bessie Fejes; sister, Judith Ann, and nephew; Steven. Friends may call on Monday, February 4, 2019, from 5-9 P.M. in Toft Funeral Home & Crematory 2001 Columbus Ave, Sandusky, Ohio 44870. Funeral services will be held at Zion Lutheran Church, 930 Main St., Huron, Ohio 44839, at 4P.M. on Tuesday, February 5, 2019. Memorial contributions in Alan’s name may be made to Stein Hospice Service, 1200 Sycamore Line, Sandusky, OH 44870, or to The Village Network, 200 Noble Dr., Wooster, OH 44691. Condolences and gifts of sympathy may be made to the family by visiting toftfuneralhome.com.